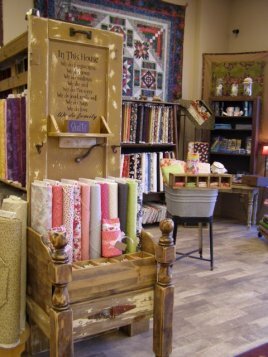 The Quilted Cow | The friendliest quilt shop in Missouri! Here at The Quilted Cow, our friendly, warm atmosphere welcomes quilters of all styles and skill levels to come in and stay a while! 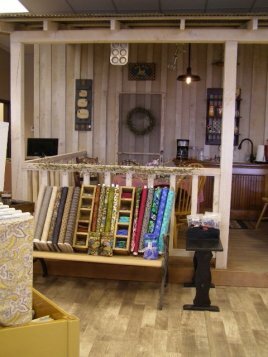 Located in Branson West, Missouri, our shoppe features quality fabrics, sewing notions, books, patterns, and gift items to meet your essential quilting needs. We provide professional long arm services to help you finish your quilting projects. Our knowledgeable, enthusiastic staff members are always on hand to greet you (and your husband too) with warm smiles, ongoing support, and individualized service. 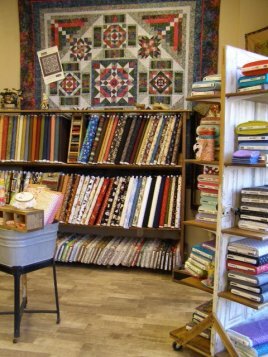 As one of the friendliest quilt shops in Missouri…we’re the store you’ll want to hurry back to!